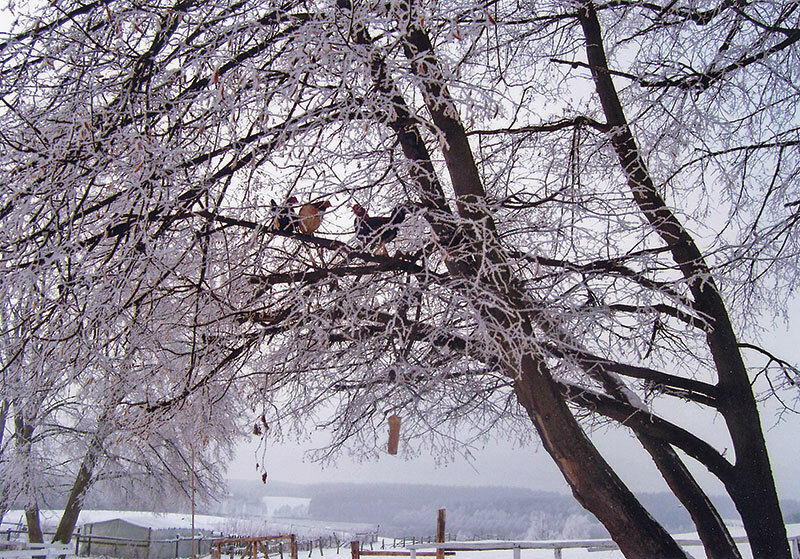 Chickens perch in a winter tree in Olsztyn, Poland. DVD Gifts for the Holidays! For the Birds - Reach Out and Touch Someone - Bring a Cage! Renew your membership for 2008!